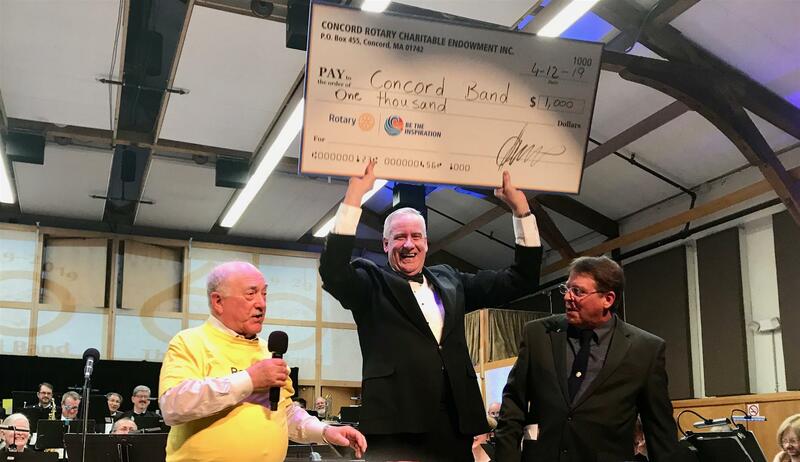 What a super night--Rotary's 44th Spring Pops with the Concord Band on April 12. 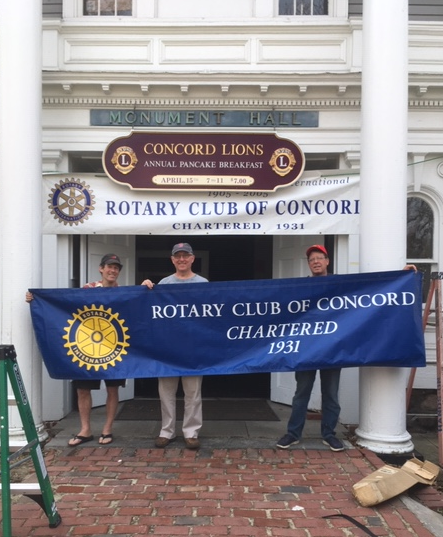 Great crowd, great music, great silent auction, great live auction, great refreshments and bar, great program book, great work by so many Concord Rotarians. We are proud to support Open Table's 30th anniversary and the Band's 60th anniversary though this event! 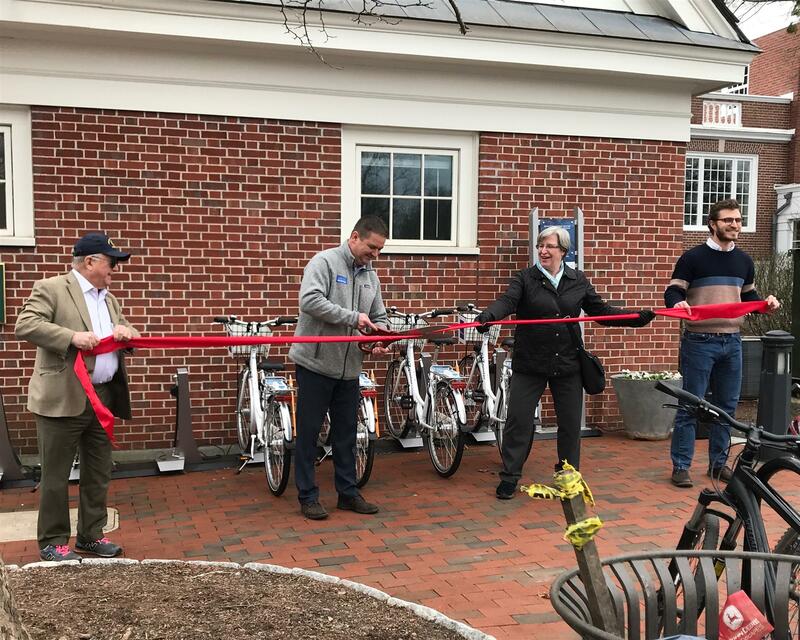 Minuteman Bike Share received a big boost from Rotary when Rotary designated the program as recipient of its Pops concert's proceeds in 2018. Now, in 2019, the bike rental program is off to a great start. 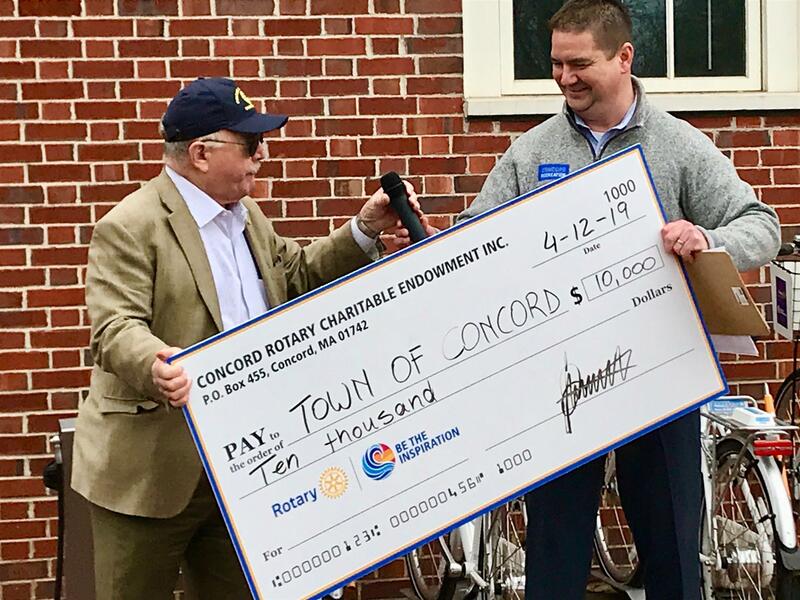 Here is RC of Concord President Henry Dane giving the big check to Concord Recreation Director Rotarian Ryan Kane at the official Ribbon Cutting April 12, 2019. .
Rotarians prepared the scene for the Pancake Breakfast Monday, April 15 from 7 - 11 a.m. at Monument Hall. This joint venture with Rotary and the Lions Club features expert chefs, so dig in! $7. Serving Concord, Carlisle & Surrounding Communities Visitors welcome! Every Thursday at 12:15 p.m.